Here & Now | A Denver Style Blog: get. it. girl. So there is this new thing that I have been doing… It's called working out (as I have spoken of my workout aversion before, I'll pause to let that sink in). I have spent much effort over the past years coming up with excuses for why I can't/won't shouldn't work out… so much so that it has become part of my identity. Now that I am spending time in the gym regularly (I even went on my lunch break last week… who am I?) I see that there are many flavors of gym going people… the "Breakfast Club" of working out. A brain, a beauty, a jock, a rebel & a recluse. And up until now, I have been the recluse. 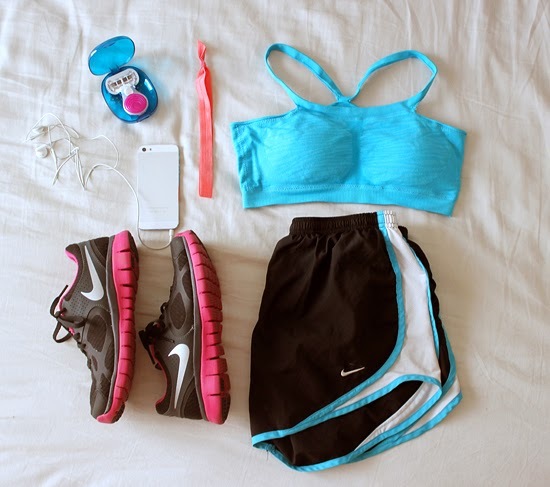 - cute gym clothes // Yes, look good, feel good extends to sweat inducing activities too. And don't even get me started on my anxiety over getting VPLs… ugh! - not having a clue // but seriously, how does ever other person know what those insane looking machines do?! - a lack of grooming // I know that the other patrons probably can't see my hair pits or the way more than peach fuzz growing on my legs, but when I am lifting weights (you know, as I do now) & see that shiz it throws me off… so ewww! I have now picked up cute gym clothes (love these sports bras), joined a club that taught me how to use those once frustrating machines, & tuck a Venus Snap razor into my bag. 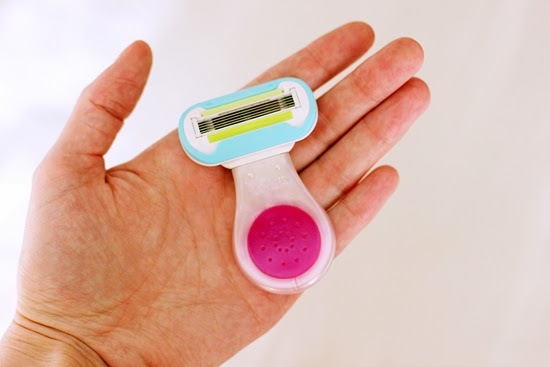 This little guy has all the great features that you have come to expect from a Venus razor (smooth "Embrace" blades, a pivoting head to hug your curves & water activated ribbon of moisture for shaving on the go) but in a new compact size. It even lives in its own carrying case, perfect for slipping into backpacks, purses & carry ons! So clutch right now, as I have been in hibernation mode & usually can't remember the last time I shaved. Looks like I have one three less excuses for avoiding the gym now! Where do you need one less excuse for in your life? I was selected for this opportunity as a member of Clever Girls Collective & the content & opinions expressed here are all my own. Thank you for supporting the brands that I partner with! First, I bet you'll feel like a new woman a few weeks into working out if you don't already! Second, Love that sports bra but I'm not sure it would be supportive enough for my B, almost C cups (DOH) It's SO CUTE Though, maybe for yoga haha. 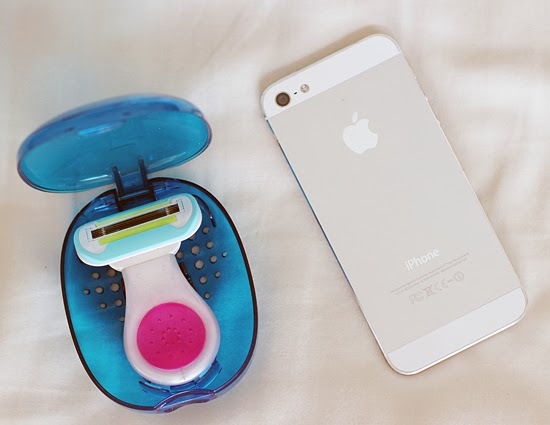 That razor is ideal for your gym bag, I may have to scoop one up! Cute gym clothes and a good playlist are key for me. Good for you for sneaking in workouts during your lunch break–I wish I could do that! That razor is perfect f or a gym bag! I'm constantly getting to the gym and remembering it's been a while since I've shaved! That's perfect! It feels so good! I joined a gym that is part of a national chain, so I hope to share my story to workout nirvana here in the near future! YES, that is the worst feeling… It always happens on my first set of weights, look down and notice my hairy pits… so not ok! Thanks for sharing about this, Jessica! I didn't know they made these. 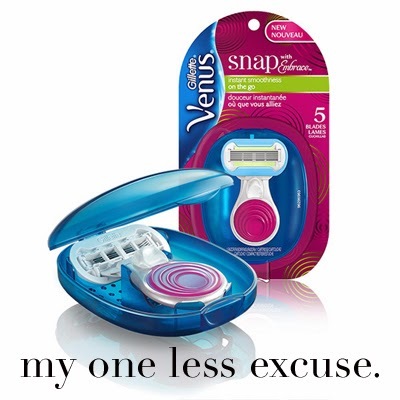 I love my Venus, so this will be perfect for travel. Also, I've definitely been there with the gym machine confusion! I like some of the machines at the gym, but I'm pretty sure I'm going to be cancelling my membership soon since I'd much rather run outside, do yoga, or lift weights at home. That mini razor is too cute. I would totally keep one in my gym bag! And YAY for you working out now! Don't you feel great?! Happy to hear that I'm not alone about the gym confusion. I just started going to Koko Fit Club & I highly recommend it! Feeling so much better, & definitely starting to see how the working out regularly thing can become addicting! Hi, I just stumbled across your blog while researching other Nashville bloggers. I just recently began blogging (for the first time since I had a Xanga account in high school...not sure that counts, haha), and I'm thankful to have found your "Blog Nashville" page!